Exacto , de modo que nose como librarme ! no es posible que no podamos hacer nada para cancelar el contrato , estiy harto de que me digan excusa tras excusa , que no pueden cancelarlo porque firme un contrato etc, no puedo permitir que me sigan robando dinero , no era lo que acordamos ! acabo de comprar un tiempo compartido, no podre pagarlo, cuando di el enganche tenia unas copas encima, las que me dieron en el hotel, ahora que analizo mis finanzas se que no podre pagarla ya paso un mes y no lo quiero. Tengo problema con un contrato de tiempo compartido Y necesito accesoria y una cita . Yo compre una acción de 357 puntos en Amatique Bay (Vacaciones VCA) Guatemala, no he podido deshacerme de ella, ya la pagué totalmente, el mantenimiento es caro. Nadie la quiere ni regalada. I understand now why is very difficult to manage a timeshare, by the way a good idea is to donate , but on many cases exist organizations that take advantage of your situation and instead they help you they sink you to a deep hole,like in mycase a need help , i tried many things and no one works..
We are in the same boat. Did NOT know what we were getting ourselves into when we bought this timeshare in 2008. We just want out of it. I would give it away in a heartbeat if I could find somebody to take it over! 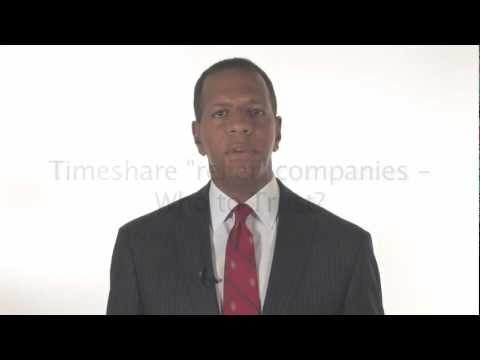 This "timeshare divorce" company doesn't charge anything until the transfer is complete and legal? If it is legit then we may give it a try..... We have already lost $400 on resale companies. It would be worth $1488 to get out of it!